How time flies. Just five short years ago, we were setting up shop at private airports across California, sending our first fleet of aircraft into the skies. Now? Taken over 75,000 flights in California and Texas. Expanded from 12 to 26 cities in the US and Europe. And saved our members 154,000 hours of travel time, that’s 6,500 full days back in their lives. By innovating the way air travel is done, we’ve transformed our members daily lives. They get to be home with their families at night. They get more face time with clients. They can accomplish more in a work day, let the weekends be for weekending. They can live in one city and work in another. They can go farther, see and do more, and worry less about the repercussions of last-minute travel. 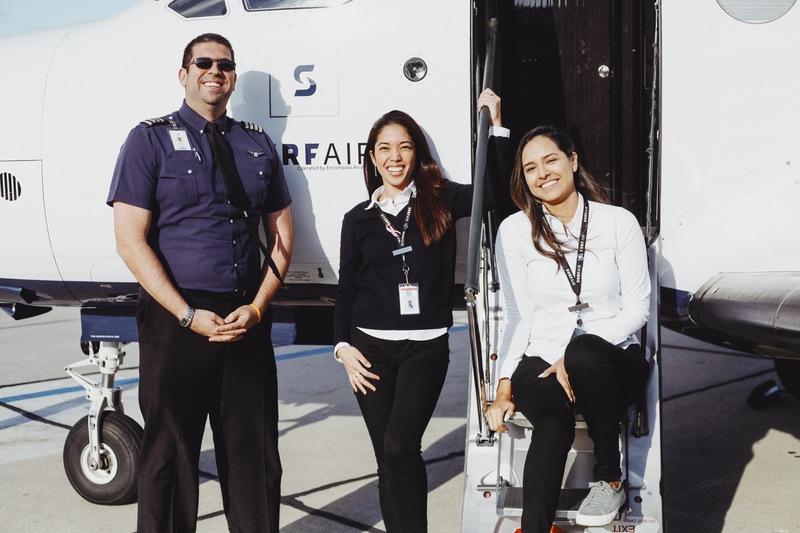 There are thousands of stories echoing the life-changing possibilities afforded with flying Surf Air—from opening up an Autism Center at Stanford, to spending more time at home than on the road, to accepting a job without uprooting the whole family. Flight Concierge Eileen Rebstock hugs Surf Air Member Lynn Koegel before her flight to San Carlos. 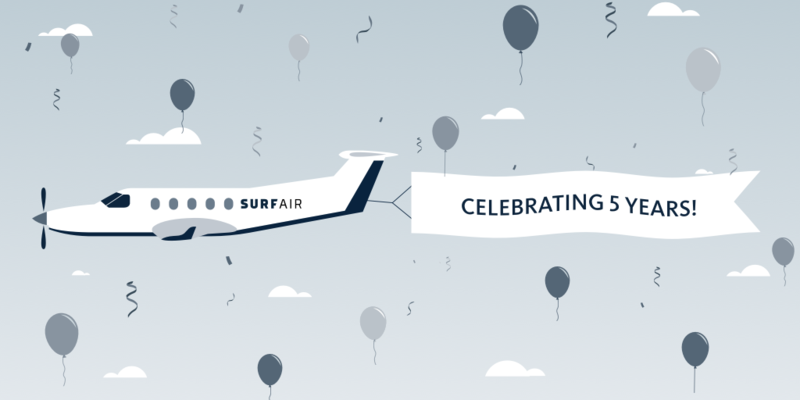 “Surf Air hasn’t just shaped how people fly, Surf Air has shaped how people do business and how they live their lives,” said our Director of Ground Experience Richard Taylor. Our team has worked tirelessly to make this dream a reality, but without our members none of this would be possible. So today, we celebrate you. Thank you to all of our members and our team for making these past five years not only possible, but the answer that air travel so desperately needed. We can’t wait to see where we go together next.